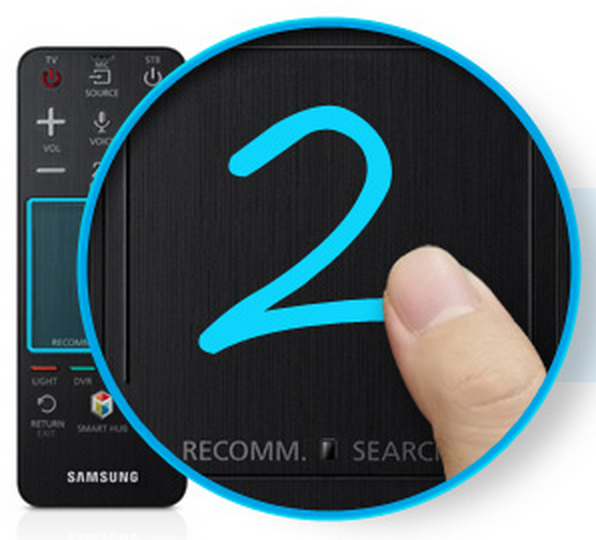 In 2012 Samsung introduce to market a Smart TV Remote. Swiping finger across large touchpad area of the remote caused TV Smart interface selection to move up/left/right or down to the next interface element. Unfortunately, the resulting production remote turned out to be pretty unresponsive, resulting in a poor market reception. 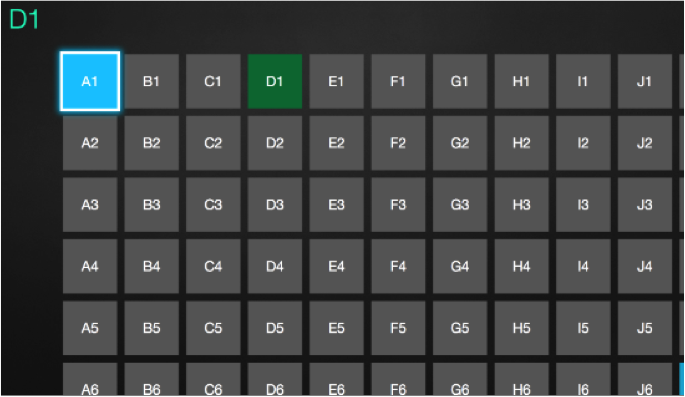 To improve it we proposed a concept of clickable touchpad surrounded by ridges. New ridge interactions and algorithms for translating finger movement into directional navigation commands were developed. Our design won internal competition and went into production for 2013 SmartTV models. Ridges provide physical affordance, indicating edges of the touchpad, they can serve as one or several buttons, one can swipe across them or they can be used as a scroll controllers. September 23, 2013. CNET review of Samsung TV: "The company totally redesigned the touch pad this year, and it's a massive improvement. Despite a few flaws and the need for a learning curve, in many ways it's the best remote control included with any TV I've ever used". 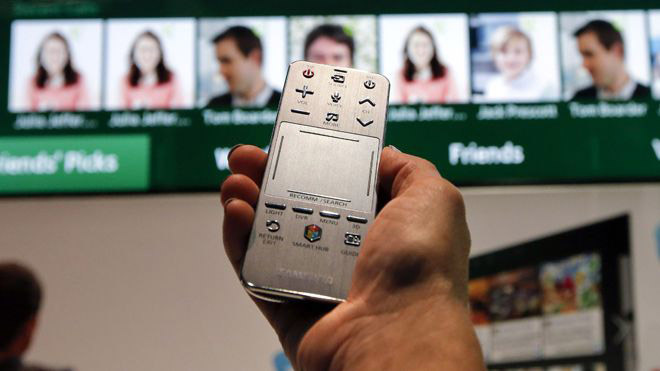 Using remote control users can navigate a Smart TV user interface by moving a finger across the touch pad. However, due to the latency in visual feedback, there is a disconnection between the finger movement on the touchpad and the visual perception in the TV UI, which often causes overshooting. In a related research project we investigated how haptic feedback affects the user experience of the touchpad-based TV remote. 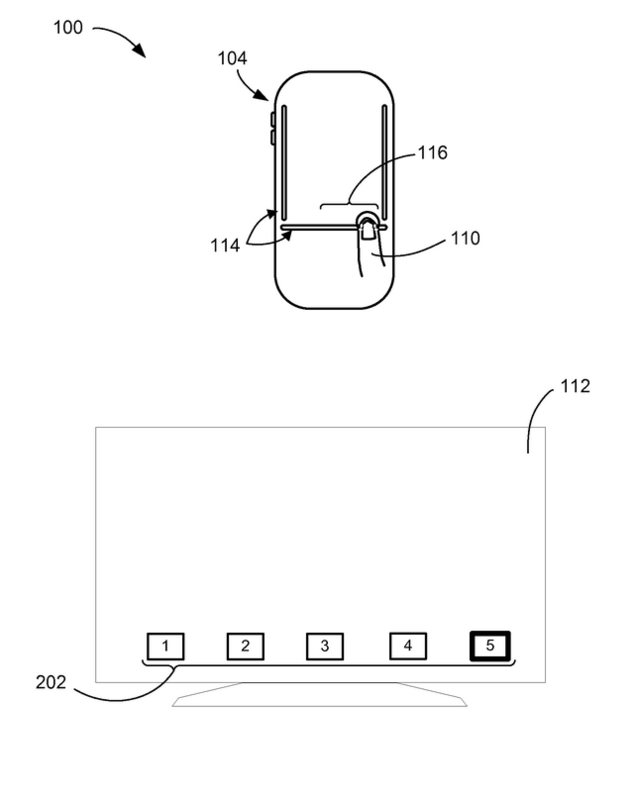 Two haptic prototypes were built on the smartphone and Samsung 2013 TV remote respectively. We conducted two user studies with those prototypes to evaluate how the user preference and the user performance been affected. The results show that there is overwhelming support of haptic feedback in terms of subjective user preference, though we didn't find significant difference in performance between with and without haptic feedback conditions. Sample task: Participants used the touchpad remote to move the highlight (blue) to the target cell (green) as quickly and accurately as possible.